The month of March is characterized by the start of spring, which also indicates that it’s time for spring break travel! For that reason we are giving away one of our most popular travel kits – the Make Me Cool. This kit includes seven travel-size brushes from our best-selling Essential Kit and a container that turns into two convenient brush cup holders. Read below for entry requirements. Also, be sure to check out our Spring Break Beauty Guide blog post from earlier this month! Fill out the form below with your name, email address, and your beauty essentials for staying beautiful on the go! *One entry per person. Open to both U.S. and international residents. The winner will be contacted and announced next week! Good luck gorgeous! nice and cool summer color. OMG! I love this kit! Que lindo giveaway, ame el color. I would love to win this! Sigma brushes are amazing. Enter me please! I really need this Kit! It would be LOVELY if i can win !! Entered and keeping my fingers crossed ! I really need this kit! It's my favorite color! warghh...hope i can win it. 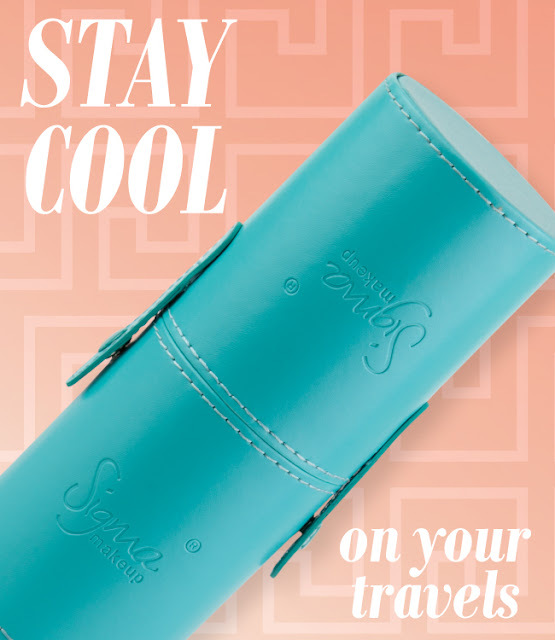 love the travel kit and love your products!! The email I used to enter, and the email I follow with are different.. Does that change my eligibility? I love this kit! We are looking at moving overseas and this would be a great kit to use during our transition. Sigma brushes are amazing...they are good quality plus they have cute colors! Acho que meu endereço de e-mail, ficou errado: liliacouto2010@hotmail.com! I love sigma brushes !!! Thanks for the opportunity to win this kit! Love Giveaways and Sigma... Great Combo!!!!!!!!! Oh my gosh, this kit is actually next on my wishlist! Would be amazing to win! PS my GFC email is ginamonk@gmail.com but my Sigma account email is ginacm@post.com. what should I write in the entry : Beauty essentials for travel ?? what does it excatly mean ? i entered! thanks....really hope I win and good luck to everyone! Trying my luck here to win this cool-colored brush set from Sigma. Not only does the brushes come in my favorite hue, these high-quality brushes will surely bring out the best in me! lovee it! i hope i win! good luck everyone! I would love to get this set , i need so much ! i would be the happiest person if i won !!! lovly giweaway ! just entered me too! love this! Obrigada por nos proporcionar esta oportunidade, Sigma! Hello, wow this travel kit would be perfect to me!!! I love the colour of this kit, so pretty! This kit will come to Brazil. It will be mine! cross finger!! 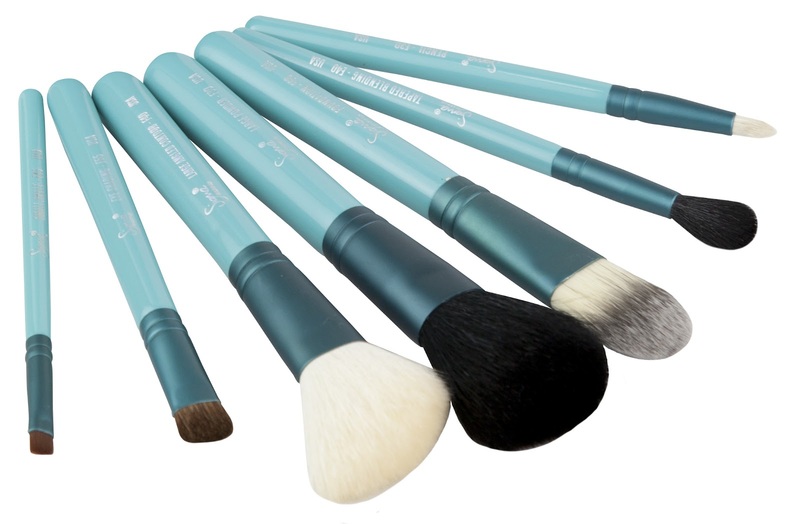 i love brushes and i love sigma!! I joined the giveaway, I wish to win this beautiful kit!! Good Luck everyone! Sigma brushes are so nice!!! A must-have item for my Caribbean trip. I love this color! Want to win it!!!! Yea!!!!! Fab there are so pretty. Sigma Brushes are amazing!!! This travel brush set would be perfect to take on my trip to Costa Rica coming up!!! I don't have any Sigma products, so I hope I win!! Good Luck everyone! I'd love to win this as I've been on the 'edge' of ordering for a while! All fingers and toes are crossed. Thanks for the chance! I love everthing from Sigma and I really want to win this make me cool travel kit. So beutiful. A mo esse pinceis e sei que vou ganhar..eu querooooooooooo. Teal and black is such a pretty combination. I have the Essential Kit and it is awesome!! Love every brush and use them daily. Didn't realize they come in travel size and the container to cup holder idea is genius!!! Will need something like this for my next vacation getaway.